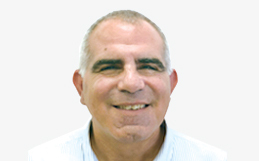 Amir Hai, our Chief Financial Officer, joined RADCOM in October 2018. In this role, Amir oversees our corporate functions including finance, legal, HR, purchasing and IT. Prior to joining RADCOM, Amir was Chief Financial Officer at Smart Medical Systems Ltd, from 2014-2018. Before 2014, Amir served as Chief Financial Officer for several multinational companies including a NASDAQ traded optical manufacturing corporation and a software company traded on the Frankfurt Stock Exchange. Amir also served as a senior manager for Ernst & Young Israel. Amir is currently an external director to Matrix I.T. Ltd. and serves as chairman of its Audit Committee. Amir holds a BA degree in accounting and management from The College of Management in Tel Aviv and is a Certified Public Accountant.